September 17, 2016 in Books, Reviews. I met Ken Jones, and his wife Noragh, on a number of occasions over the last fifteen years or so, at Haiku Ireland and other haiku-related events in Dublin. He was an acquaintance whose talent and wisdom I admired greatly, and, like many others, I miss not having both on stream anymore. However, we are fortunate that he did write and publish so prolifically and this final book, along with his posthumous collection of haibun, Gone Away (also from Alba), are his parting gifts to us. In some ways, Jones acts as devil’s advocate in the eleven talks and essays on Buddhism which comprise the majority of this volume, a number of which can be found on his website www.kenjoneszen.com. Starting with the book’s title, he challenges our preconceptions about Buddhism in a way that shows a typically fierce and independent intelligence. This sandal-on-the-cheek approach makes us sit up and listen. The first section, How to Do Everyday Buddhism, ‘provides a foundation and introduction for other essays and papers’ and summarises many of Jones’s thoughts on matters such as spiritual materialism, suchness, the practice of emotional awareness and kindness, also the sometimes controversial area of Buddhist ethics and morals. He expands on these topics (and more) in the eight talks which follow and which form the bulk of the book. The effectiveness in Jones’s arguments partly lies in the fact that they are informed by a deep and wide knowledge of spiritual literature in general, and Buddhist texts and teachers in particular. Ample, relevant quotes punctuate and contextualise his observations in every chapter, from 13th Century Zen Master Dogen (about whose teachings the tenth section of the book is devoted) to contemporary Buddhist nun Pema Chödrön who has popularised dharma-related teachings in recent years. One of his key opinions, that mindfulness – while worthwhile as a practice is itself – is ‘Buddhism lite’, is well-argued and convincing. His assertion that mindfulness is ‘a technique, devoid of the profound ethical concerns of authentic Buddhism’ is hard to refute. There are times, however, when Jones’s bias as a socially engaged Buddhist is evident, for example when he claims that Buddhism has ‘traditionally been confined to individual existential concerns’ rather than exercising itself in opposing authority (later in the book he describes himself as a ‘Buddhist Bolshevik’). While I admire his desire to marry life as a meditator with life as an activist in the pursuit of equality, I would argue that the latter is not necessarily the main role or function of a Buddhist. Furthermore, the former premise is suspect in that the Buddhist tradition of the sangha, or community of practitioners, is strong and ancient, as is the importance of its role in supporting individual dharma practice. Indeed, the Sangha is one of the ‘three jewels of refuge’ in Buddhism, along with the Buddha and the Dharma. However, the valuable insights Jones provides throughout the book more than compensate for this inclination. Of course the principles of impermanence and acceptance are also prominent in Buddhist philosophy. Jones embraces these with dignity and humour, no more so than in his writings about ageing (‘the supreme challenge of our life…it is our self-identity which is challenged’) and dying. And so he offers us Ageing, The Great Adventure – A Buddhist Guide which forms the eleventh section of this book. What Jones describes as ‘the existential option’, the alternative to either railing against old age or wallowing in its vicissitudes, is to practise awareness, to examine all pains, thoughts and emotions as they arise, and to learn from them. This is best achieved, he argues, through meditation. He also encourages us to both embody and celebrate older age. In relation to death itself, Jones argues that how we have lived is more important than how we die, ‘over which we may very well have little or no control’. Later, in fading light, I wander up onto the hill. Shoulders hunched, searching as usual for something too shy to show itself. Hands tighten on the rust of an iron gate. A brief, broken sleep, spilling vivid dreams, and leaving a metallic taste beneath the tongue. The hour before dawn, lit by one large candle. One by one the black robed figures file in. Home for more tests. The radiology unit has an air of carnival. What shall we play for you? Some years later and the disease is taking hold. 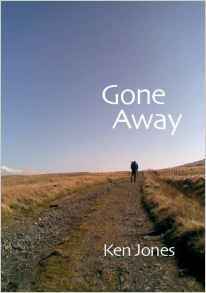 Yet Jones takes time to immerse himself in the natural world, and to practise the general and emotional awareness that he has advocated in the earlier sections of the book. ‘A better place to die’, she says, turning her face away. And so, day by day and arm in arm, we promenade our love, as wave follows wave. Each in our so-called easy chair, we enjoy the magnificent sunsets. In this and other haikai in the final section of the book, he continues the time-honoured Asian tradition in which both haiku poets and Zen monks have penned their own jisei, or death poem. This provides an appropriate end to a volume which addresses the two components of Zen Buddhism and haibun. This book is for Buddhists and non-Buddhists, haijin and non-haijin alike, any reader should be enriched by Jones’s erudition and literary talent. Blithe Spirit, Volume 26, No. 2 (May 2016). In early August 2015, I got the news of Ken Jones’ death while sitting in the tea room of Casa da Campo, the Portuguese venue for the Bodhicharya Summercamp. He and I, though different in many ways, shared a publisher, a passion for haiku & its related forms and a commitment to the Dharma, quite a lot to have in common! I was naturally saddened by the news. 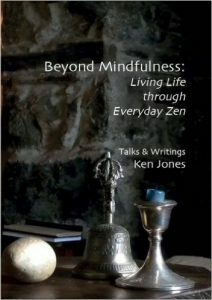 Later that year, the then editor of Blithe Spirit, the journal of the British Haiku Society, David Serjeant, knowing of my interest in Buddhism, asked me to write an extended review of Ken’s last book, Beyond Mindfulness, which he had held in his hand and approved not long before his death. I agreed. It was a strange experience to critique a book whose author wouldn’t get to read the review! It appeared in the journal in May 2016. 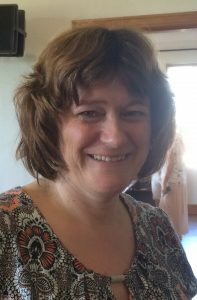 Earlier this month, sitting at the same table in the same tea room at Casa da Campo at the start of this year’s Summercamp, Albert Harris told me that Many Roads might be moving towards being review-based. I mentioned the recent one I’d written and he expressed an interest in republishing it on the site. I emailed David Serjeant straight away to ask his permission and he granted it by return. Later I realised that these conversations, and the agreement to republish the review, had all taken place on the day before Ken’s first anniversary on Tuesday 2ndAugust 2016. Coincidence? Perhaps but I prefer to think that the wily old pilgrim fox had a hand in it!